KONG Catnip Spray stimulates your cat's natural behaviour and makes playing even more challenging. The spray is made of concentrated catnip oil and can be used on items such as cat toys and scratching posts. KONG Catnip Spray makes playtime even more attractive for cats. The spray contains catnip which has an enormous power of attraction on a large number of cats. The spray will encourage your cat's natural behaviour and is ideal for use on scratchers or toys. The spray will make these even more attractive for your cat. 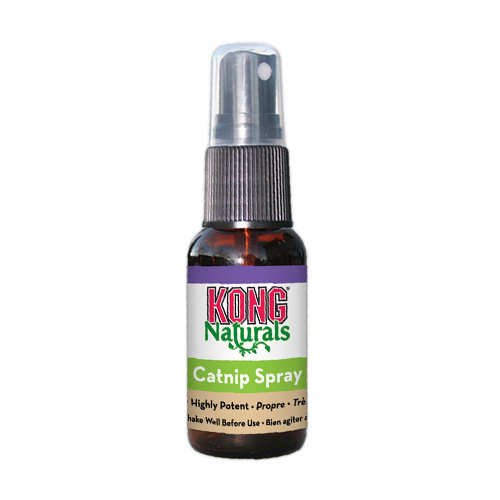 KONG Catnip Spray is made of concentrated catnip oil that is steam-distilled from North American catnip. Have you used KONG Cat - Catnip Spray before? Let us know what you think about this product.